I am passionate about helping busy women find more energy and joy in their lives. I want to help them age gracefully and consciously, by providing tools to live more comfortably in their bodies and minds. I enjoy pampering women who are really good at taking care of everyone else, and are ready to learn effective, simple techniques for self-preservation and healthy living! Before I began yoga, I was so busy running my own business. Newly married, working many late nights, lots of intense deadlines. I'd fall into bed exhausted, only to get up the next morning and do it all again. The stress on my body triggered an old injury, and I'd awaken with terrible spasms in my neck and back. At times, the pain was so intense I'd have to miss days of work. I spent years masking the pain with medication, but knew I needed, and wanted, something healthier for my body. After my first yoga class, I felt like I had come home. I had been very active when I was younger, and loved the physical movement that yoga offered. What I didn't expect were the amazing benefits that yoga had for my mind. I found that I was so much better equipped to handle my stressful days. I also discovered that I wasn't breathing right. What a difference breathing correctly made for me! Through yoga and other healing modalities, I learned effective ways to manage and prevent my neck and back pain. I was so excited about my own feeling of relief and joy that I HAD to share this with others. 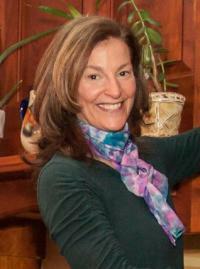 Denise is a certified Kripalu Yoga Teacher and Reiki Master. She also holds classes and workshops on the amazing benefits and uses of Essential Oils. She teaches group and private classes throughout lower Fairfield County. Denise is a strong yet gentle and compassionate teacher who is enthusiastic about sharing the benefits of yoga. Group, corporate and private yoga classes.